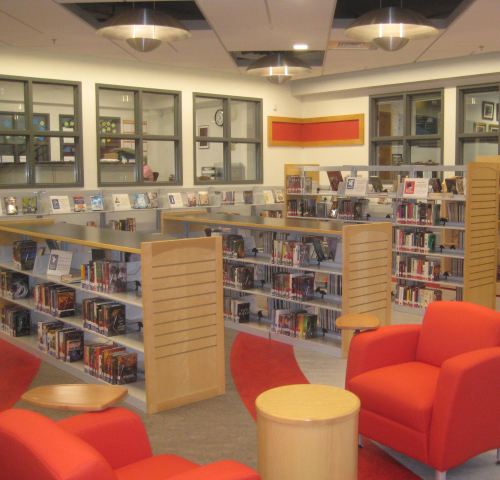 NBF Architects designed renovations to the Rutland High School Library to better suit the needs of the students and school. 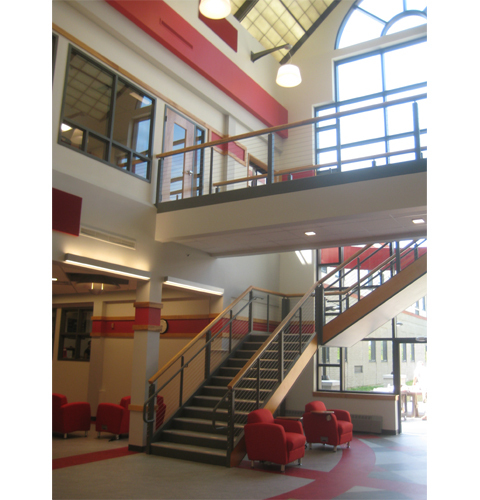 A new stair and second floor was added into the existing footprint of the library and includes two classrooms with a connecting walkway and a conference room. The center of the library is open to the existing skylight above allowing natural light into the space. Large windows in the second floor walls visually connect the two floors and allow the natural light into the rooms. The first floor contains designated locations for various activities such as quiet reading, individual research, and group projects. The tables within the space can be easily rearranged based on the group activity and number of students. All of the finishes within the library were updated and the new design focused on integrating the school colors. 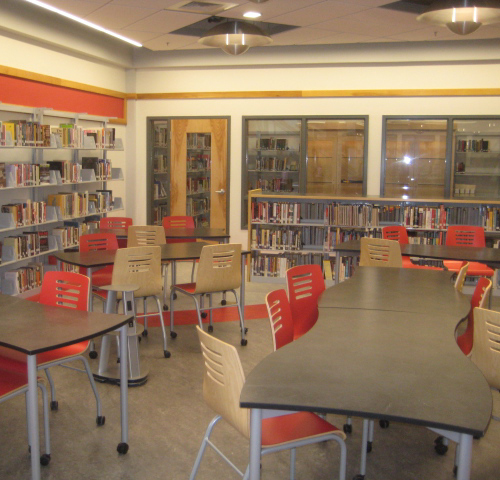 NBF Architects incorporated the use of colors, materials, and patterns while detailing the new library in order to give the space an updated appearance that will meet the needs of the students and school for years to come. 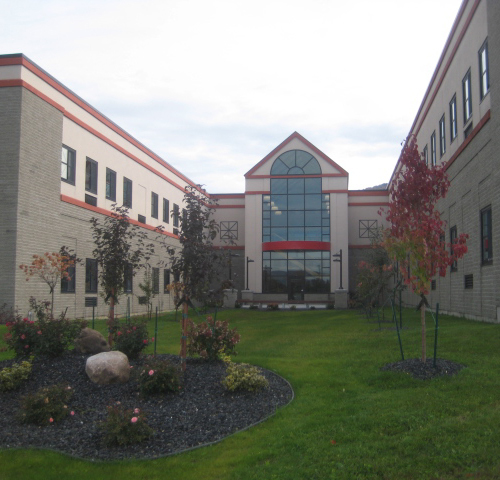 The exterior of the library was renovated with the creation of a courtyard space accessed through a new door in the existing curtain wall. A new patio and benches provide a comfortable gathering space allowing teachers to bring classes and other school functions outside. The new courtyard makes use of an existing space that had been overlooked and underutilized.